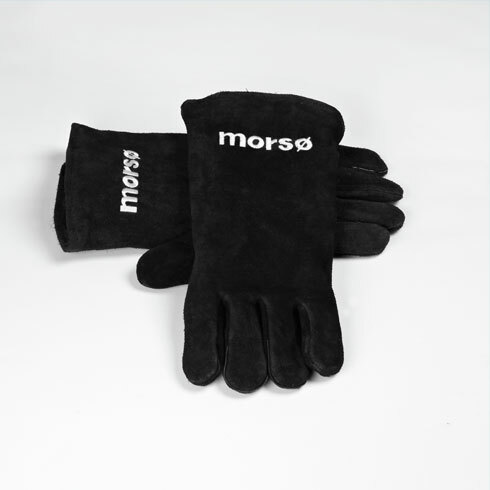 Grill Glove, left Morsø means quality from the inside out. Fire and grilling aren`t just about heat, but also about good times. Time stands still, the eyes dwell on the intense light. Sometimes the firewood needs to be adjusted, giving the best conditions for the flames to dance their prettiest. Therefore, we have made a lovely grill/ fire glove of strong suede, with good insulation to let you move burning logs without burning yourself. A practical and invaluable friend on hand when you stoke your wood-burning stove, your outdoor oven or your fireplace. The glove is available both right and left handed. Morsø means quality from the inside out. Fire and grilling aren`t just about heat, but also about good times. Time stands still, the eyes dwell on the intense light. Sometimes the firewood needs to be adjusted, giving the best conditions for the flames to dance their prettiest. Therefore, we have made a lovely grill/ fire glove of strong suede, with good insulation to let you move burning logs without burning yourself. A practical and invaluable friend on hand when you stoke your wood-burning stove, your outdoor oven or your fireplace. The glove is available both right and left handed.